Play WMV video on Mac without hassle. Convert WMV to MOV for playback or editing on Mac. Convert WMV to iPhone, iPad, and Android devices at 90X faster speed. Edit video like trimming, cropping, rotating video, adding music, watermark and more. Burn DVD/CD, record screen, make GIF images, compress video, transfer video and more other features. Compatible with every Mac device runing from macOS 10.6 to 10.14. Since macOS doesn't come with any software that can play WMV files, if you have got some WMV videos and want to play them on your Mac, you may be wondering how to play WMV on Mac. The good news is that there are many programs can help you convert WMV to Mac friendly MOV, MP4 and M4V format. Meanwhile, there are some free WMV players for Mac that lets you watch WMV videos on Mac for free. Below are several best ways to play WMV videos on Mac (including newly macOS 10.14 Mojave). As we know, QuickTime and iTunes are perfect for playing videos on Mac. However, WMV format is not supported by QuickTime or iTunes. Fortunately, with the help of Aimersoft Video Converter Ultimate, you can easily and quickly convert WMV to QuickTime and iTunes MOV or MP4 with the video quality preserved. It's built-in video player allows you to watch WMV and any other video on Mac without any hassles. Besides, this Mac video converter can also convert WMV and any other popular video format to M4V, MKV, FLV, ASF, AVI, MPG, MTS, TS, etc. Get it now and play WMV videos anywhere you like! Click the Free Download button below to install Aimersoft Video Converter Ultimate on your Mac. It is compatbile with macOS 10.6-10.14. Open it. Click the Add Files button to load the WMV on your Mac. Now the WMV video is displayed in the program as thumbnail. Move your mouse over the thumbnail, and click the Play icon. Now it's playing WMV on Mac! You can enjoy the full screen by clicking the first icon at the lower-right corner. And it also allows you to take the screenshot of the video. Well, if you want more than playing WMV on Mac, and want to edit the WMV, you will have to convert WMV to MOV. The following will show you the steps. To convert WMV on Mac, simply click Add Files on the left bottom to import the WMV videos to the program. Multiple WMV files can be added and converted at one time. 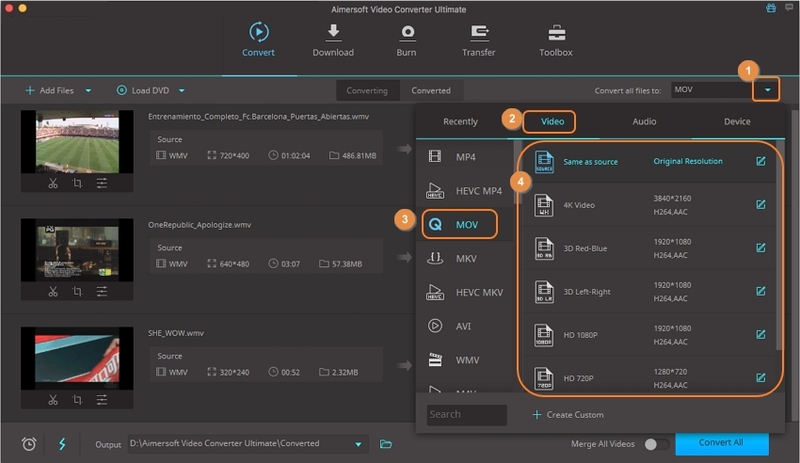 Then choose video formats and select the preferred video format as output format. You can do it following: Convert all tasks to > Video > MOV > and then choose a resolution. The last step is to click on the Convert All button. After a few seconds, you can get the MOV files on the Converted tab. 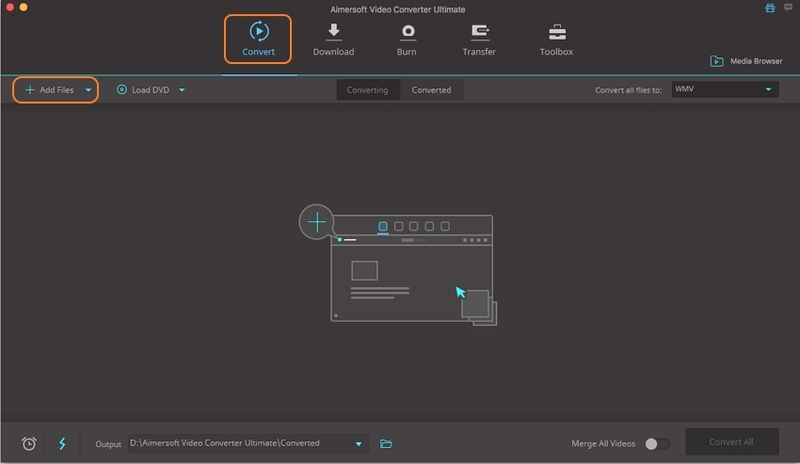 Free download Aimersoft Video Converter Ultimate on your Mac. You will have no more troubles with the WMV files any more! 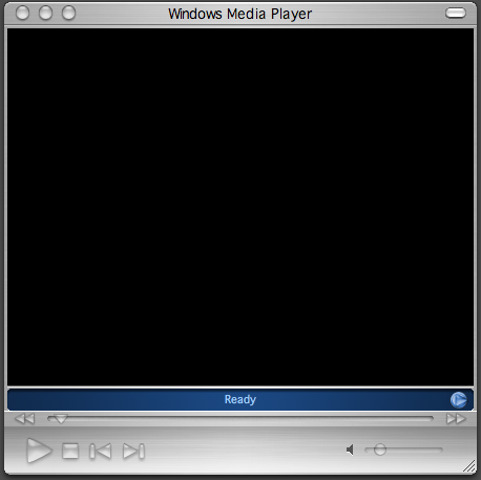 You might be surprised that you can use Windows Media Player to play WMV files on Mac for free. Yeah, there is a Mac version of Windows Media Player. However, there is no upgrade of this Mac app from Microsoft. Install it on your Mac and then you are able to watch your WMV videos on Mac smoothly. Flip4Mac is another program provided by Microsoft that can help you play WMV videos on Mac. It's a Windows Media component for QuickTime. By installing it on your Mac, you can play WMV directly in QuickTime Player. 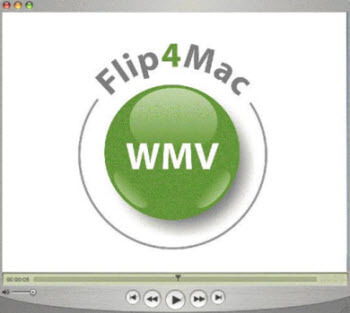 But you may find that Flip4Mac only supports WMV on Mac, any other format like AVI, MKV or FLV are not supported. And WMV playback is also in the basic level, if you want to get a better visual effects, you need to upgrade your Flip4Mac to a pro version at least. 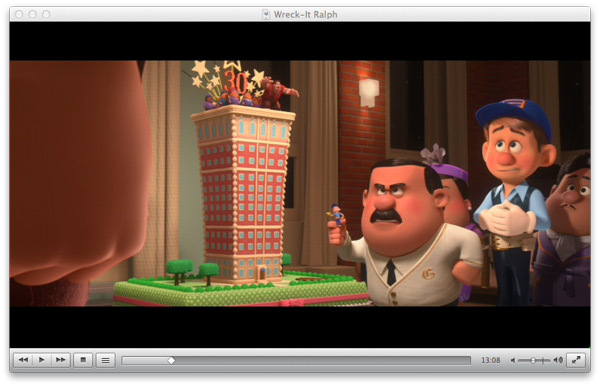 VLC Media Player is one of the best free WMV players for Mac. With it, you can play WMV, AVI, MKV, FLV, etc. non-Apple formats on your Mac without any troubles. The only question is that you may need to install some codec packages to make VLC work on WMV. Aimersoft Video Converter Ultimate for Mac helps you bypass these question.